Lions are active. Our motto is "We Serve." 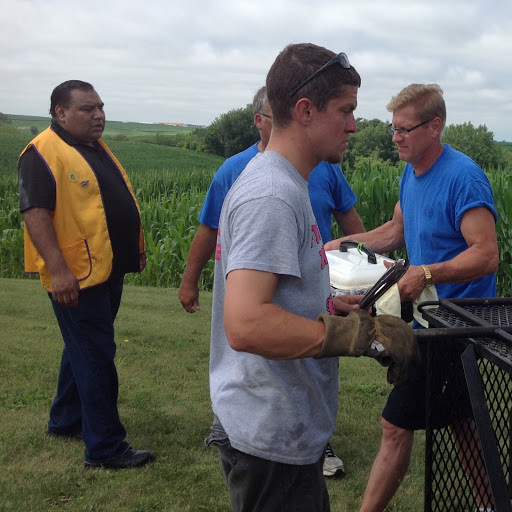 Lions are part of a global service network, doing whatever is necessary to help our local communities. 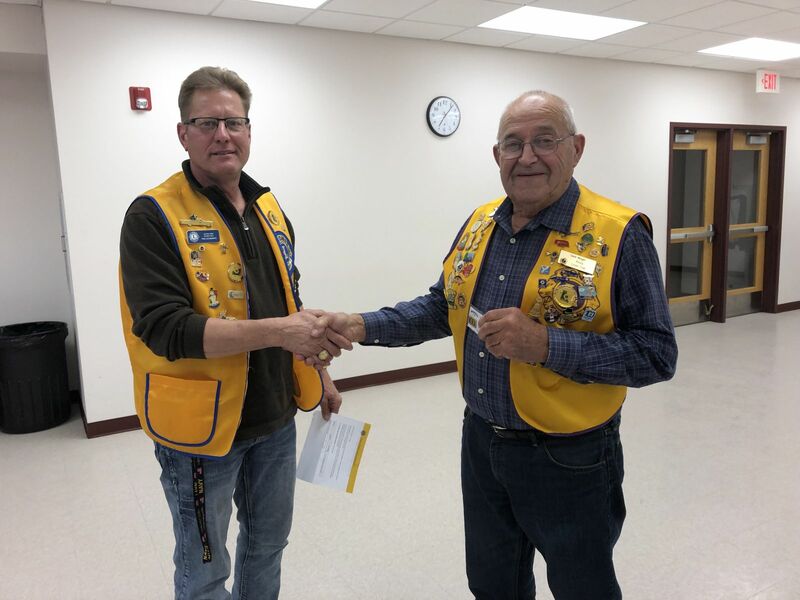 Altura has been serving the community since 1984.
to Lion Dale Moger who was presented with the Gold Membership Award at our April meeting, and he was one of the original founders of the Altura Lions Club 35 years ago. 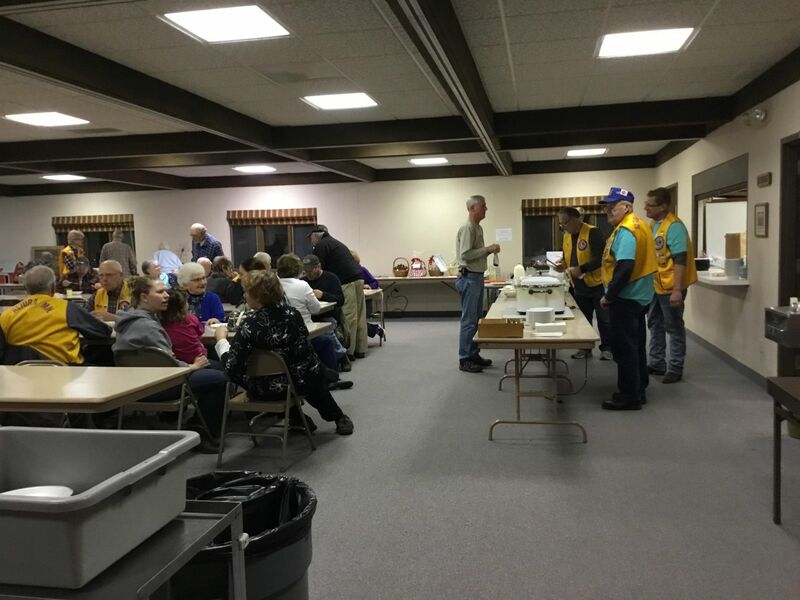 Altura Lions Club hosted the Zone 1 meeting on March 14, 2019 at the Community center. 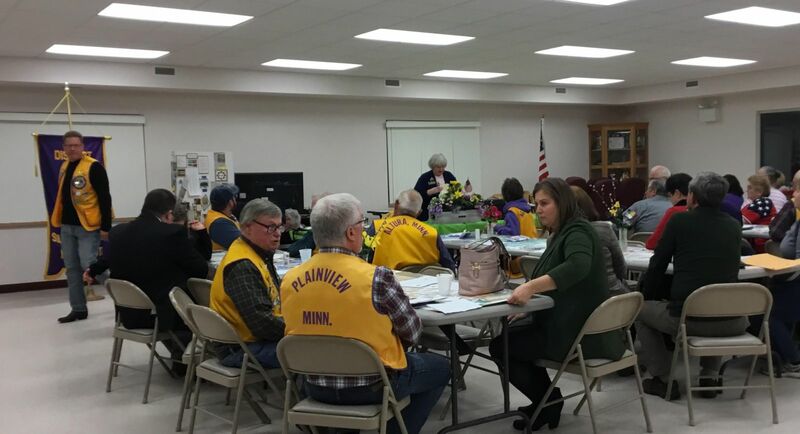 Each club gave short reports on what they are doing or have done, and speakers were Lion Pat Schlichenmeyer who told us about the USA/Canada Lions Forum, and Lion Joanne Lipke from Lewiston who told us about Project New Hope. District Governors also gave reports, and a delicious meal was catered by Rec Bar and Grill. 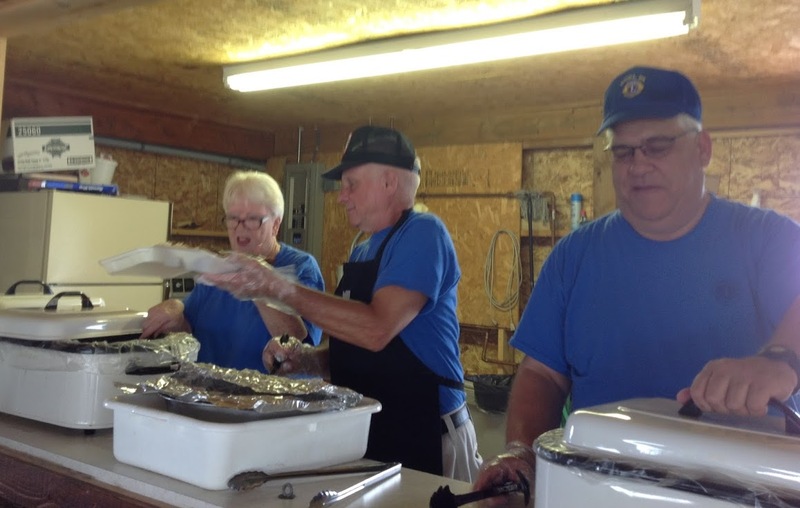 Door prizes were raffled off, and half of those proceeds went toward the new park in Winona. 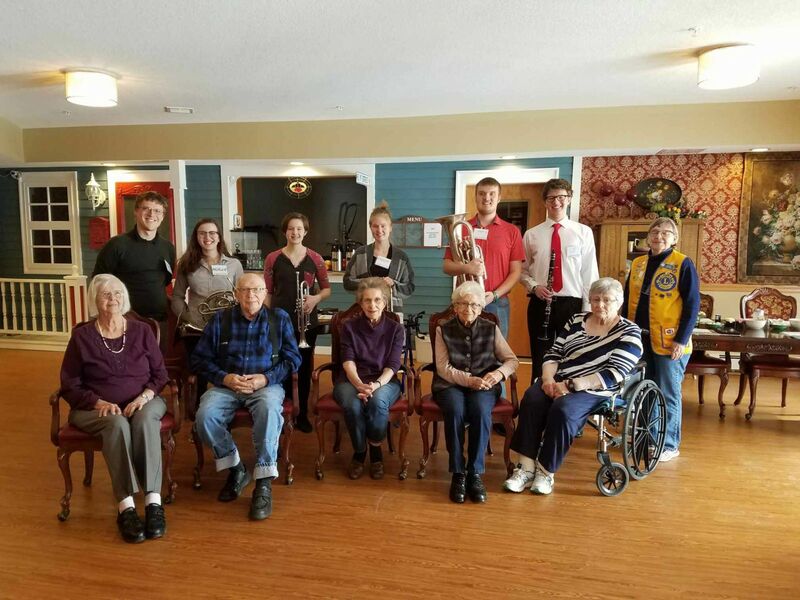 Students with the Harmony Bridge program played music for the residents of Lewiston Senior Living on Friday, March 1. After introducing themselves and playing their instruments, they visited one-on-one with the residents. 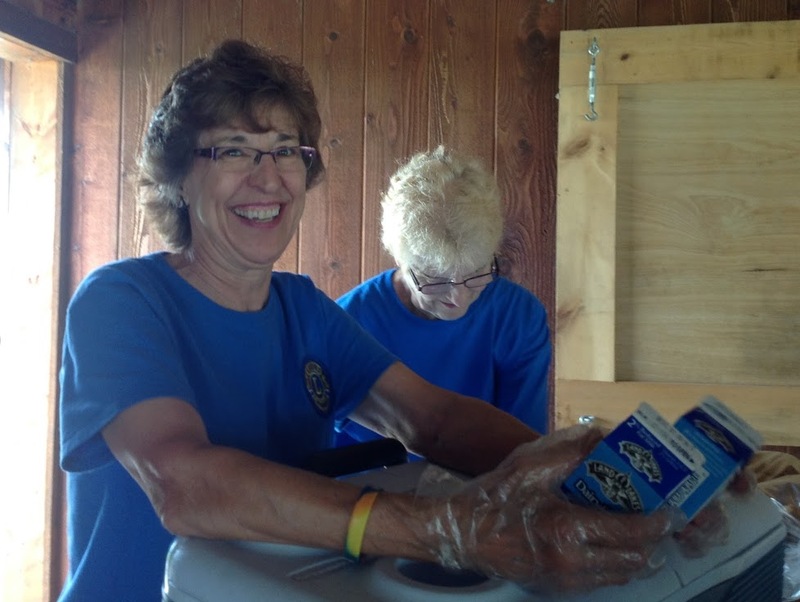 Lions Julie Johnson and Phil Schwantz represented the Altura Lions Club, which made a donation toward this program. CONGRATULATIONS TO lION STEVE PASCHE WHO RECEIVED THE EVERYDAY HERO AWARD AT MID-WINTER CONVENTION IN ROCHESTER ON JAN. 27, 2019. 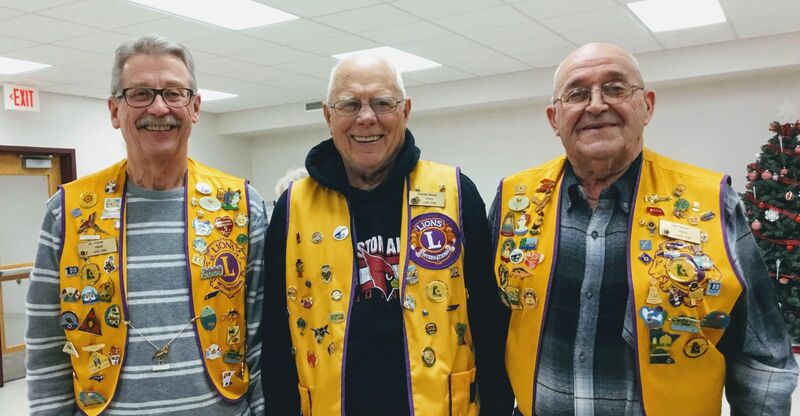 Pictured at left are three of the original founders of the Altura Lions Club: James Kramer, Charles Meyer, and Dale Moger. Lions James and Charles received their 35 year chevrons. Congratulations! 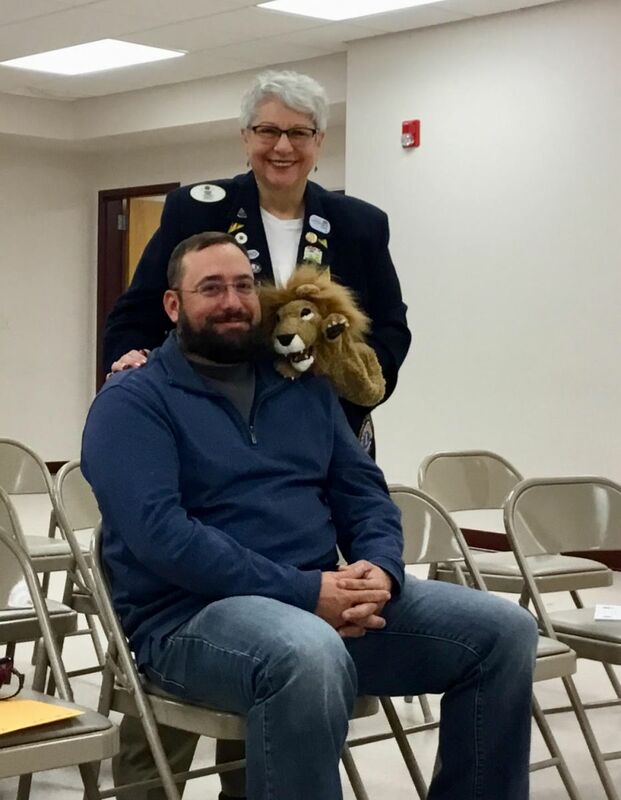 DG Nadeen Lunde was our guest speaker at our Dec. 2018 meeting, accompanied by "Lion Larry". 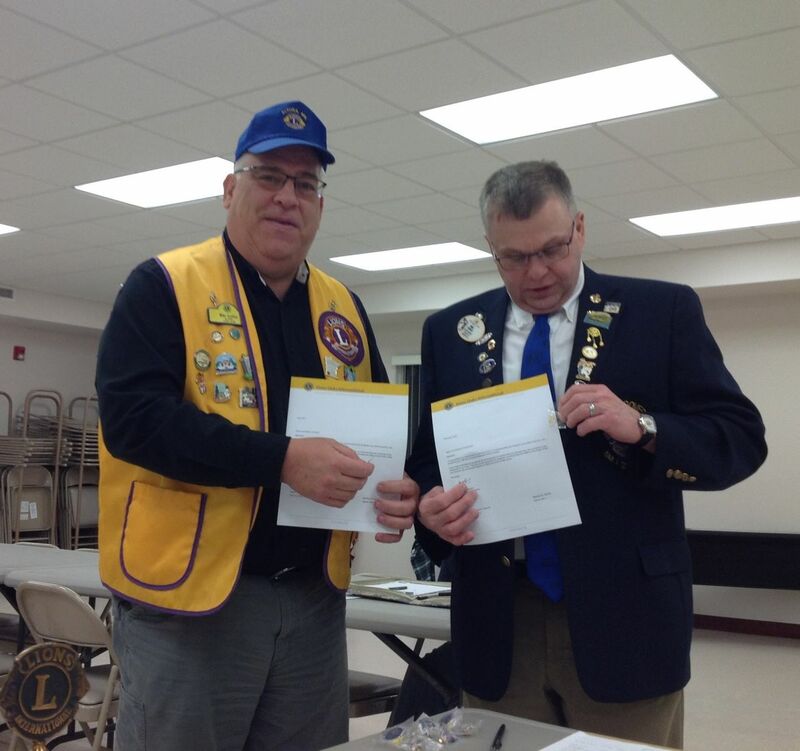 She inducted our newest member, Robert (Josh) Barnard, and talked about Lions and the up-coming Mid-Winter Convention. Thank you Lion DG Nadeen. 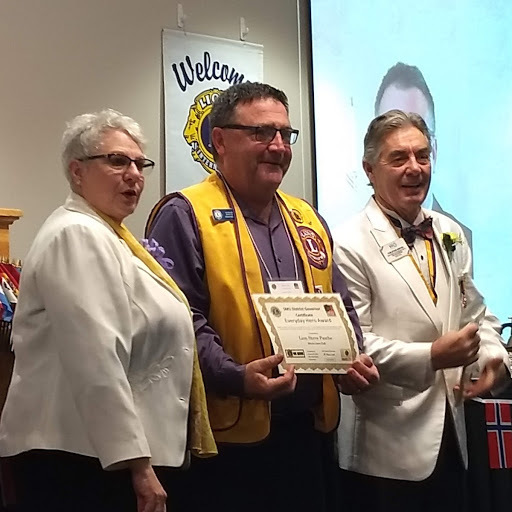 Lion Josh was also inducted at the Jan. '19 Mid-Winter Convention in Rochester. 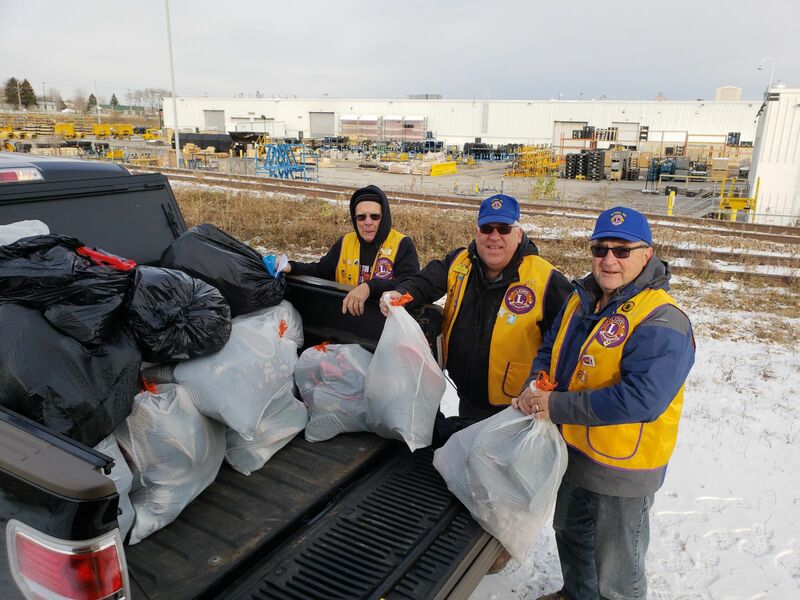 650 pairs of shoes for Soles4Souls was delivered to the Cities on 11-10-2018 by Altura Lions Charles Meyer, Mike Lovlien and Steve Pasche. A big thank you to everyone who donated and collected all these shoes. 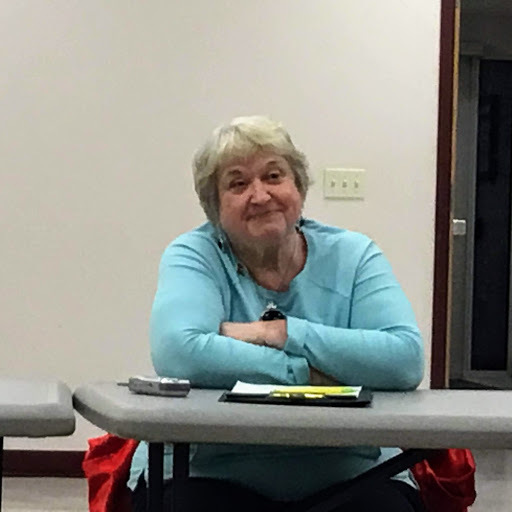 Susan Althoff, the new Zone Chair, attended our October meeting. She commented that she was inpressed with the Club's website, and informed us she is available to contact if we have any questions or concerns. The agenda for the Zone 1 meeting scheduled for November 13 in St. Charles was presented. 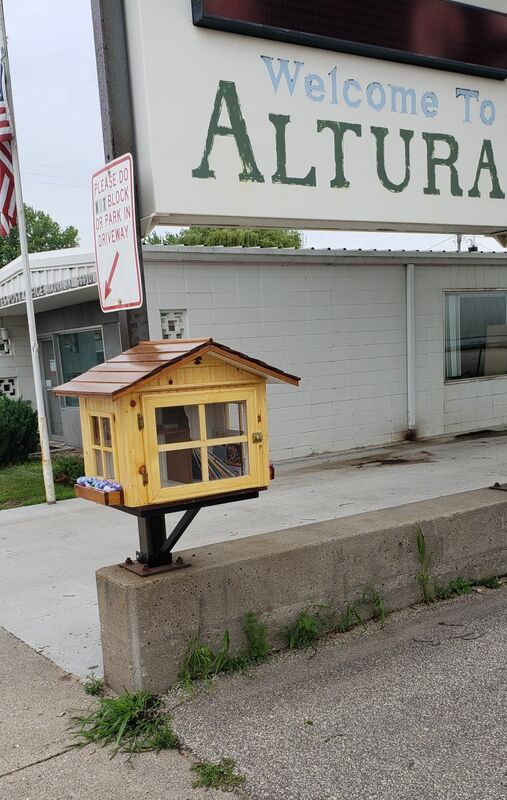 The little library on the left was built by Phil Schwantz with materials donated by the Altura Hardware. 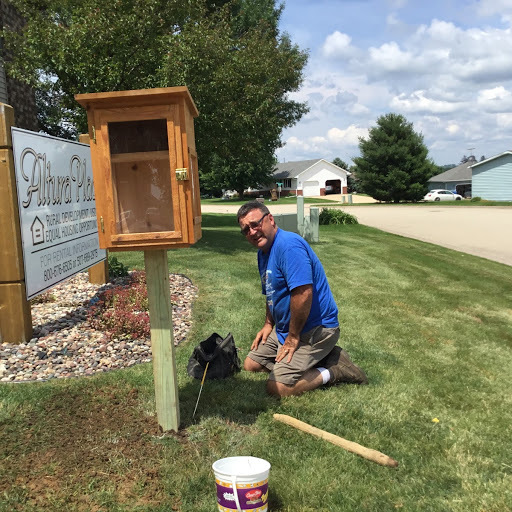 The little library on the right was built by Steve Pasche who also donated the materials. These are one of our newest projects to help the people in Altura: people can take a book, and/or leave a book, and both libraries have been receiving a steady rotation of childrens' and adults' hard cover and soft cover books. 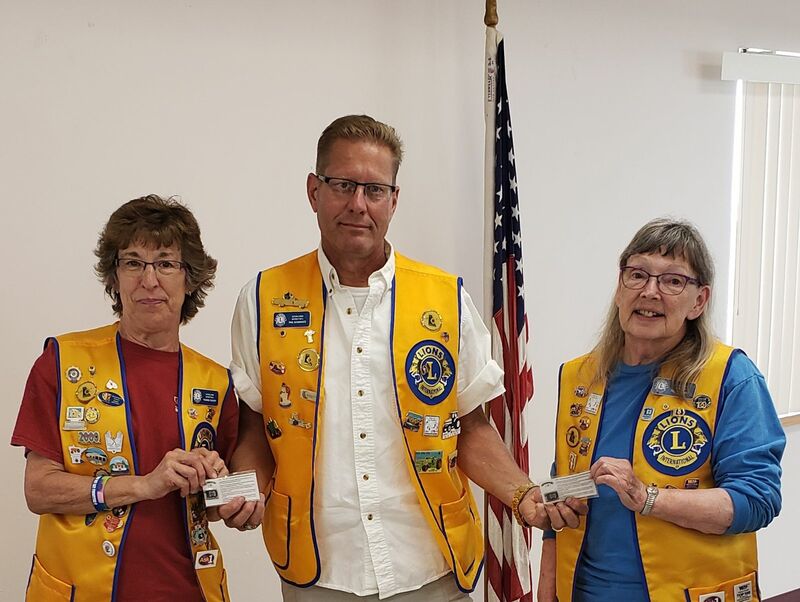 Altura Lion President, Phil Schwantz, presented Silver Centennial Awards to Yvonne Ruhoff and Julie Johnson for recruiting new members within the last year. 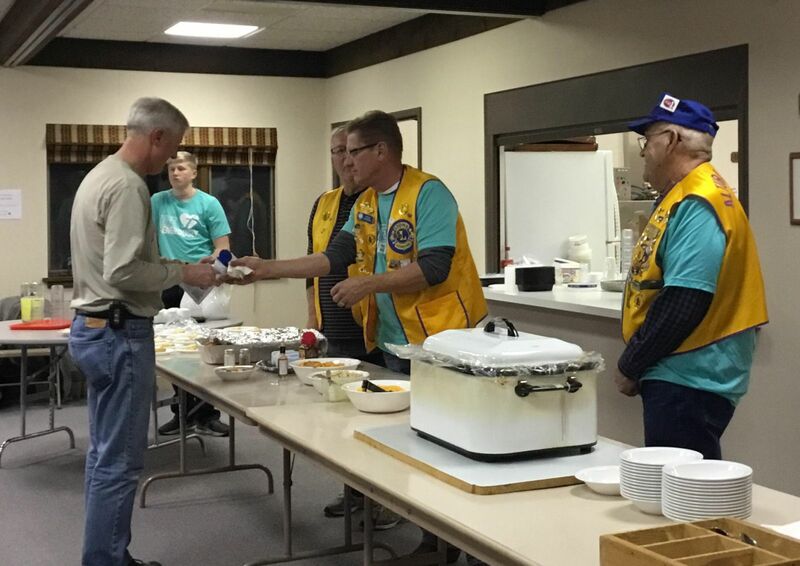 A big Thank You to everyone who came to our second annual Chili Feed fund raiser on Sat. Jan. 12, 2019 at the Moravian Church, to raise money for people needing help with hospital treatments, etc.and Lions members and community members who generously donated the food we prepared and the live piano music we were entertained with.. We made the chili on the mild side so people could add seasoning to suit their taste. We also served home-made lemon bars, garlic bread, and condiments for the chili. If you weren't able to be here this year, I hope you can join us next year -- we heard lots of compliments on how good the meal was. Below are pictured some of the crowd, and Lions servers and kitchen crew. At our Feb. 2018 meeting President Ken Lindeman showed the 2016-17 Centennial Club Excellence Award that was presented at the Mid-Winter Convention. Also, congratulations to Tom Ties who was presented the Lions Everyday Hero certificate by Pres. Ken Lindeman. 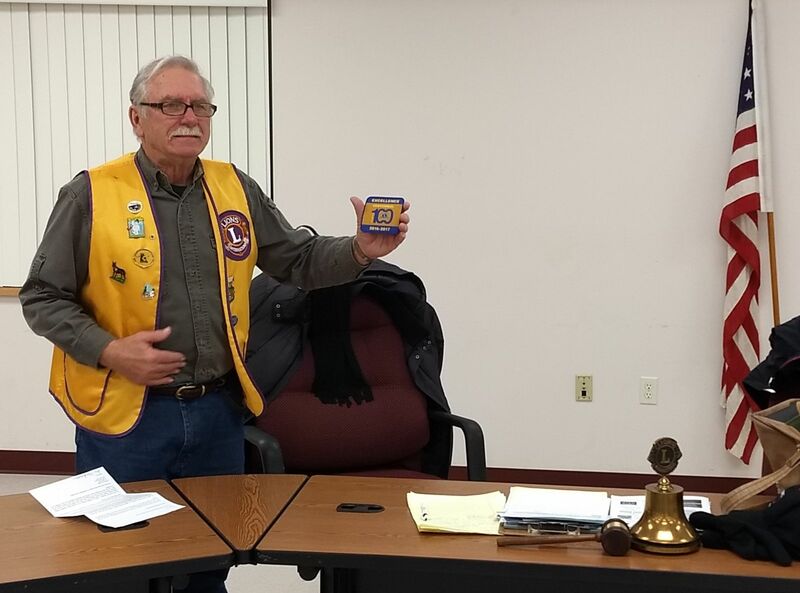 At our Dec. 2017 meeting, DG Mike Schultz was our speaker and he awarded the 30 year membership pin to Mike Lovlien. He also awarded checks to the three Peace Poster winners . Thank you from Altura Lions to all the people who came to the Chicken Q on Sat. We were blessed with good weather, good people, and good food. 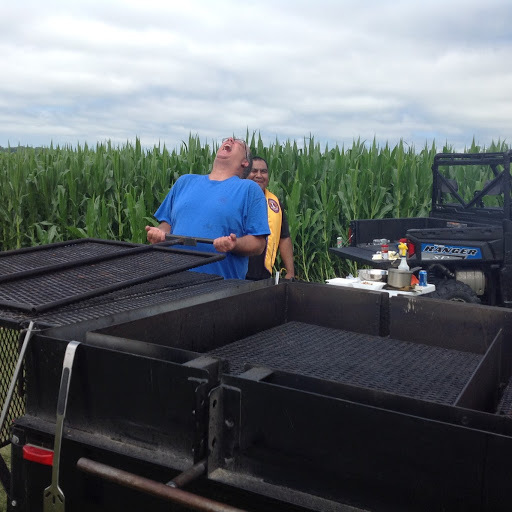 Lions motto is "we serve" and as you can see from these pictures, we enjoy what we do. Tickets $10. per meal : 1/2 chicken, beans, potato salad, roll, milk and cookie. Carry-outs available. This is a fund raiser to enable the Lions to help people with cancer costs and community projects like the Christmas baskets, park improvements, etc. 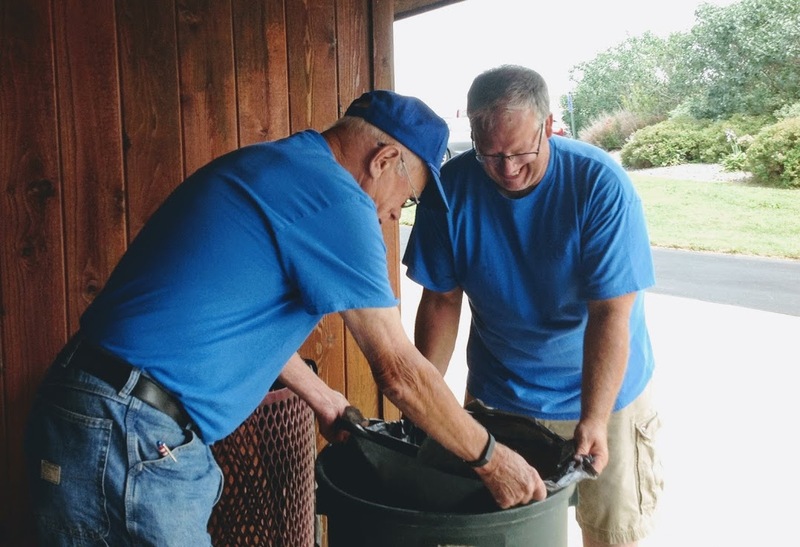 Board members include Charles Meyer Past President, 1-year board members Dale Moger, Phil Schwantz, Ken Lindeman; 2-year board member Julie Johnson, and 3-year board member Alex Kreidermacher. "Like" Altura Lions Club on Facebook. Community Center on Main St.